Mahbub ul Haq was the pioneer in developing the concept of human development. He not only articulated the human development philosophy for making economic development plans but he also provided the world with a statistical measure to quantify the indicators of economic growth with human development. Haq shaped the development philosophy and practice in the four decades from the 1960s to 1990s, shifting the focus of development discourse from national income growth to people and their well-being, monitoring its progress through the Human Development Index (HDI). He initiated a global movement involving policymakers, scholars, and activists to adopt Haq’s innovative ideas for people-centred development. 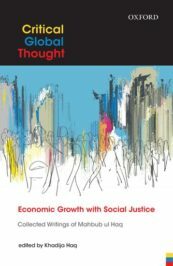 The force of Haq’s ideas and passion, compelled his audience, particularly the South Asian policymakers, to look deeply into the reasons behind the disconnect between economic growth and people’s well-being. Despite holding high-level offices in national and international organizations, Haq never shied away from telling the truth and raising concerns about taboo subjects such as the rising costs of military expenditure, wasting resources of poor countries on the nuclear race, and the lack of development cooperation within South Asia. Haq firmly believed that South Asia could become the next economic frontier of Asia if acute differences were settled and a free flow of rich customs, commerce, and ideas encouraged. He defined a vision and a plan of action for creating greater unity among the South Asians. He tirelessly advocated for peace between India and Pakistan; investments for education and health for all people without any discrimination based on gender, income, location, and other factors; empowering South Asian civil societies with training and resources; and work toward an integrated economy in South Asia. Mahbub-ul-Haq by Snaim (30 January 2008). Public domain via Wikimedia Commons. 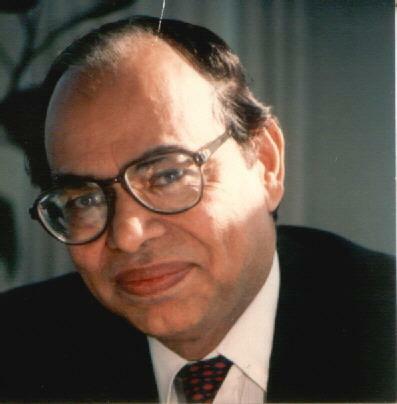 Globally Mahbub ul Haq’s legacy of humanizing economics by giving a human face to economic development, and bringing poverty concerns to the centre stage of the development agenda will long endure. So will his concerns for income and capability gaps between the rich and poor within and among nations. Haq untiringly advocated for better development cooperation for the 21st century, a less brutal process of globalization, a system of global institutions that will protect the vulnerable people and nations, a cut in military spending to free resources for social development, a more transparent and ethical national and international system of governance, and a compassionate society. His legacy is also that he seldom talked about issues without providing a concrete point by point blueprint for action. But Mahbub ul Haq’s finest legacy is his intellectual courage. Wherever he worked, whatever job he held, he never shied away from telling the truth. He was always fighting for the voiceless, the marginalized, oppressed millions against a system that is unjust, unethical, corrupt and anti-people. I would like to end this of by quoting a few lines from Prof Amartya Sen, who was a close friend, talking about Mahbub ul Haq. Featured image credit: Punjab University by Hafizabadi. CC-BY-SA-4.0 via Wikimedia commons. Khadija Haq is the president of the Mahbub ul Haq Human Development Centre, Islamabad, Pakistan. He is the author of Economic Growth with Social Justice. Not making human development as the primary focus of any national development agenda is a major gap and shortcomings of most contemporary development initiatives. Such material and physical advancement and progress devoid of or neglect of its human development considerations will never be sustainable in spite debates on such issues! Mahbub ul Haq has advocated correctly the effective path which any national development initiatives must focus and pursue! Obsession with material advacement and progress has somehow blinded many policy makers and development planner on the real pertinent matter regarding national development! It is time that Mahbub ul Haq’s pragmatic visionary idea on humanising economic devrlopment should be revisited and be given a fresh look for future development agenda of nations! Like it or not development initiatives without any human focus and objective cannot truly become a practical strategic imperative!